Retinal detachment is a true medical emergency. It is a time-critical, vision-threatening disease often first evaluated in the Emergency Department (ED). Diagnosis can be extremely challenging and confused with other ocular pathology. Several entities can mimic retinal detachment, including posterior vitreous detachment and vitreous hemorrhage. 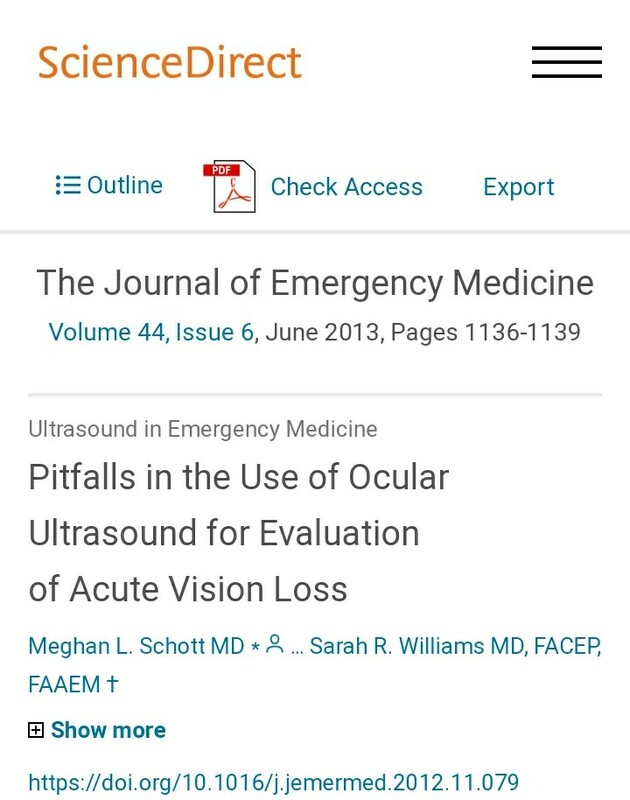 Ocular ultrasound can assist the emergency physician in evaluating intraocular pathology, and it is especially useful in situations where fundoscopic examination is technically difficult or impossible. Accurate and rapid diagnosis of retinal detachment can lead to urgent consultation and increase the likelihood of timely vision-sparing treatment. 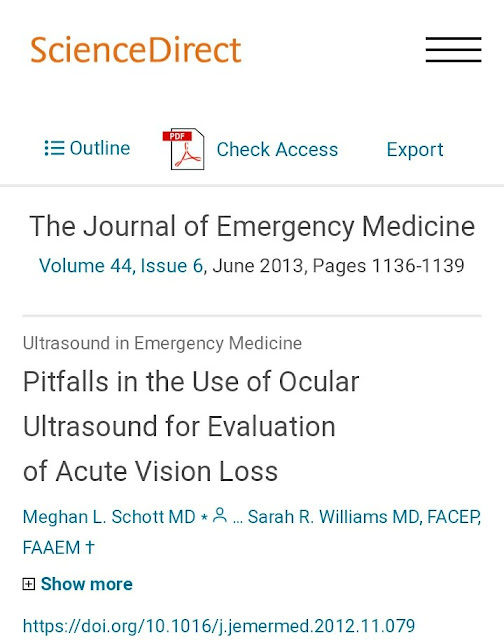 This case demonstrates both the utility of ocular ultrasound in the accurate and timely diagnosis of retinal detachment and potential pitfalls in the evaluation of intraocular pathology in the ED. A 38-year-old woman presented with acute onset of bilateral visual loss that was concerning for retinal detachment. Rapid evaluation of the intraocular space was performed using bedside ocular ultrasound. Bedside ocular ultrasound correctly diagnosed retinal detachment in the right eye. Posterior vitreous detachment in the left eye was incorrectly diagnosed as retinal detachment. This case illustrates the importance of bedside ocular ultrasound and highlights some of the pitfalls that can occur when evaluating for retinal detachment. Following is a discussion regarding methods to distinguish retinal detachment from vitreous hemorrhage and posterior vitreous detachment.